For the last couple of weeks I’ve gone through a dry spell where even though I’ve spoken with people nothing in those conversations has lead to anybody telling me their testimonies. 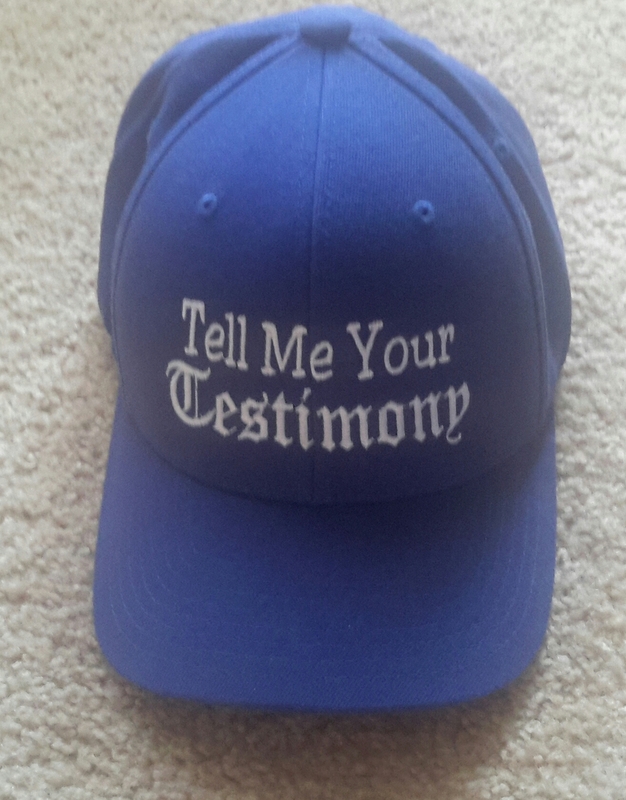 I prayed about this situation during my morning prayer time and started seeing the words “Tell me your Testimony” in bold while letters against a blue background in my mind. As soon as that image popped into my mind the thought followed, “that would look really good on a t-shirt or embroiderd on a hat.” Little did I know the response that seemingly idle thought would produce.